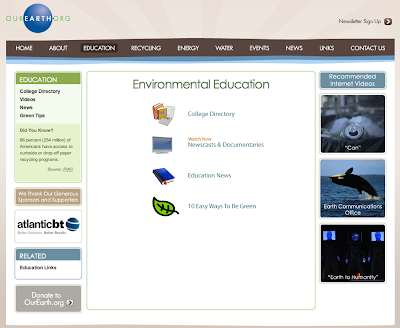 OurEarth.org's mission is simple: to make it easier for the public to find environmental information. And boy, is it easy on that site! Clicking on any of the main categories like Recycling, Energy, Water will lead you to a search engine for local and national programs, recent news, and efficient products relevant to each corresponding subject. 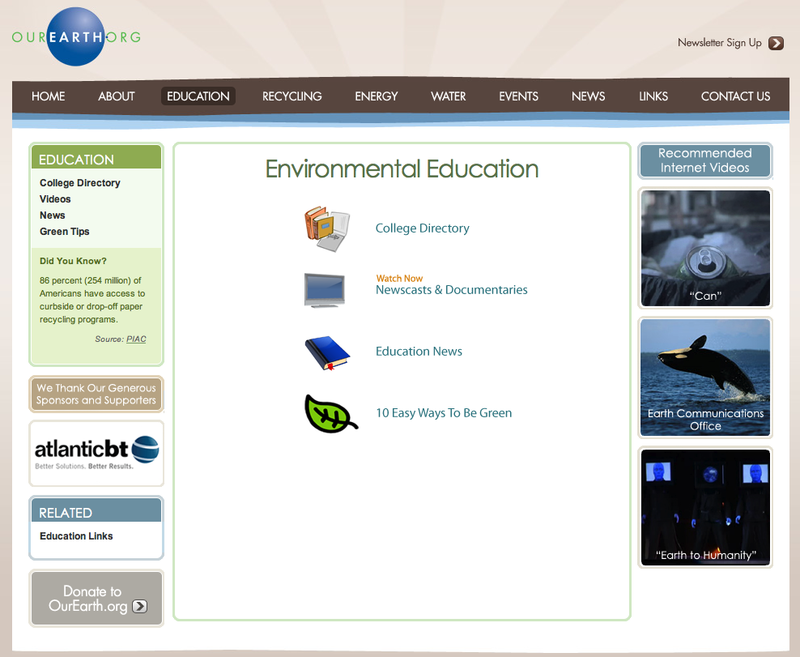 Under the Education tab, you'll find news about what schools around the country are doing to better the environment, green advice and tips, and a directory for hundreds of colleges and universities to see what green programs they've created for their students. A search for my alma mater turned up recent news about students growing a sustainable garden on campus, undergrad and grad programs related to the environment, green student groups and resources, and even videos of fuel cell research! The Events tab will keep track of upcoming conferences, and News gives a broader look at eco-happenings around the world. An ever-changing list of recommended internet videos, including this one we posted about last week, keep the site interactive. We're always trying to educate ourselves about the environment, the industry, and all that comes with it, and this site is making it that much easier.